Will we betting an encore of the Rajon Rondo and Chicago Bulls show next season? The Rondo experiment has failed miserably, just like many knew it would. He cramps spacing for a team that cannot shoot and has vacillated not only in and out of the starting lineup, but in and out of the rotation. The end to this partnership, for both parties’ sakes, cannot come soon enough. And fortunately for all involved, Rondo’s $13.3 million salary for 2017-18 is non-guaranteed. Clearly, the Bulls won’t be bringing him back. Or will they? With only $3 million of Rondo’s 2017-18 salary guaranteed, Chicago really only risked one year on the tempestuous point guard. (Though league sources insist the Bulls brass hasn’t ruled out bringing Rondo back next season.) Wade, 35, has a player option for next season. Given the tumult in Chicago, rival executives believe it’s reasonable to expect Wade may want out—despite the $23.8 million he is owed if he stays. 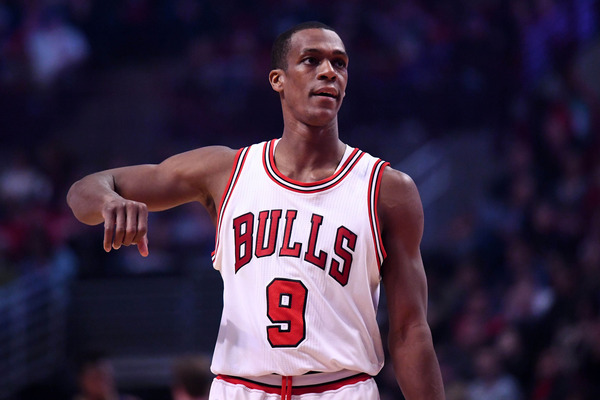 Even with the Bulls being the Bulls, there’s no way they can spin Rondo’s return as a good thing. Unless they think they’ll need his $13.3 million during the middle of the season to match incoming trade value, they’re better off carving out the extra $10.3 million in cap space they’ll get for paying him to leave—especially if Dwyane Wade leaves his $23.8 million on table. More than anything, the Bulls have Jerian Grant, who has been the best point guard on the roster this season, and traded for Cameron Payne, a lottery-level prospect. Rondo only eats into their playing time. If he doesn’t play, his absence from the court becomes an unnecessary distraction, creating a lose-lose situation for the Bulls. And Chicago has had enough of those.